For all its highly-regarded openness, Android has a strange ambiguity in its inner workings - it doesn't let users install custom fonts. Most of you probably know how easy and painless this procedure is on other operating systems, such as the ubiquitous Windows and OS X. Not having the ability to put some font files on the device's memory and seamlessly integrate them into the interface and apps doesn't make much sense from the user's point of view, but there might be other design and development considerations we're not aware of. Still, imagine designers forced ComicSans MS on your tormented eyes, instead of the sleek Roboto without any kind of choice. What a crime against good taste that would have been! Regardless, as with most things Android, installing custom fonts is actually a 1-2-3-Go! procedure if you know the right app. In this case, this is HiFont - a free font manager and installer for rooted devices (except the Samsung Galaxy S3, S4, S5, Note, Note Ⅱ, Note Ⅲ, which need no root) that not only lets you download pre-selected fonts through a fancy portal , but also gives you the freedom to side-load and apply fonts across the whole system. Beware of some considerations, though. This and most font-replacing apps in the Play store only work to change Android's system font, visible inside menus, apps, and browsers. Installing custom fonts to use with QuickOffice, Polaris, or other popular office is a different game. As far as we know, office suits have separate font packages available to download install. Anyway, let's give HiFont a shot. Head to the Play Store and download HiFont. Open it after installing, and you will be greeted by the app's cozy interface. We advise you to take a moment and browse all the different fonts that are on display. If you stumble upon one that just jibes with you, tap on it. HiFont will show a preview text  with both the current font and the one you're about to assign to the system. After previewing, simply tap "Use", reboot your device, and enjoy the new collection of characters. That was the less-adventurous way of installing custom fonts. The other one makes use of .ttf files on your device's storage. Proceed by placing .ttf fonts inside a folder called "Zitiguanjia" (without the quotations, of course) on your device's root folder. This happens to be HiFont's folder for custom font files. If this folder doesn't already exist for some reason, create it yourself. And after filling it with fonts of your choosing, open HiFont again and tap "Local" inside the bottom shortcuts bar. If everything goes as planned, you should see the custom fonts listed inside the menu. If they are nowhere to be found, though, reboot your device, and they should show up. Now, choose the font you want to use, tap on it, "OK" it, reboot, and enjoy your funky characters! By the way, the digits in brackets relate to the numbered screenshots inside the gallery below. Yes, I can finally use comic sans! Oh no,you killed us all. Oh come on! We've been doing this with Font Changer and Font Installer since Android was born. Root is needed on some devices. 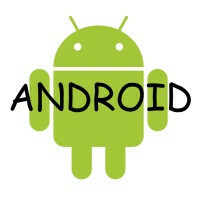 Does anyone know how to have the "Powered by Android" logo on the phone's boot up animation (no root if possible)? Changing boot animations typically requires root (or always, unless it's a feature buit-in to specific phones). An unlocked bootloader might be required as well. I can't say for certain; I tried changing the boot animation my my rooted (but locked bootloader) Galaxy Light T399 with Rom Toolbox Pro, and it didn't do anything. I change the boot animation on my own pictures. Take a look on xda and there you will find how to do it. It's easy but you will need some tries (changing some variables) to the perfect match. Root is a must. Samsung has the bootanimations in a different format and place on the device. In such case, you'll need to replace it manually using any root based browsers and using a guide from XDA. PA just a note. All touchwiz devices can do this, not only s3 and note series. I love condensed Roboto, my personal favourite. Can't agree more. I side loaded it on my device and loving it. While samsung provides this functionality out of the box, other OEMs prefer to keep this functionality stowed away so as to provide a so called simplistic experience and uniformity.